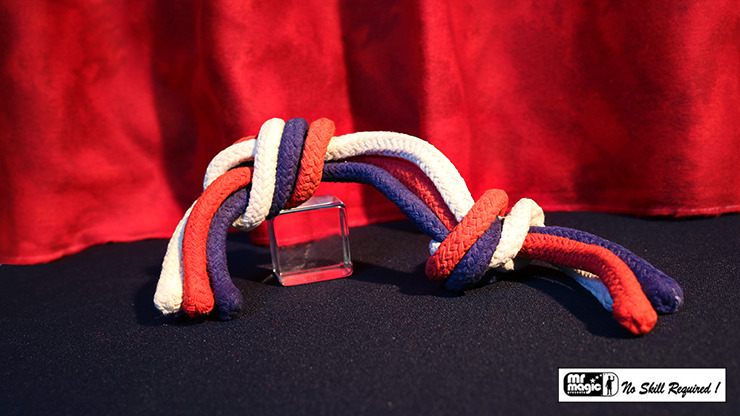 The magician displays three colored ropes: red, white, and blue. Each rope has been tied to the next to create one long rope consisting of the three colored ropes. With just a snap of the fingers, the knots VANISH, and the three ropes amazingly blend into one SOLID rope! The rope can be handed out immediately for examination. This great trick is VERY easy to perform and learn.